Rich features and flexible system configuration in a compact size. The MELSEC-F series PLC incorporates power supply, CPU, and I/Os into a single compact unit. 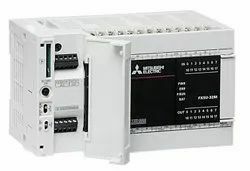 • PLC AUTOMATION SYSTEM, we offer complete PLC automation solutions with a focus on PLC-based control panels all over India. With its modular programmable logic controllers, Phoenix Contact offers a large PLC portfolio to meet every requirement. Design your tailor-made automation solution. Almost all of the modular controllers are also available with an extended temperature range for extreme temperatures. We are here to offering the quality products of PLC Systems. These products are widely used to Supplier & Manufacturer of PLC Systems. 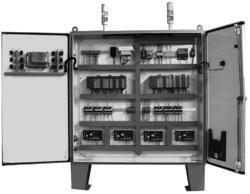 Our product range also comprises of HT Electrical Control Panels, STP Plants. Our products are available in market in huge quantity.